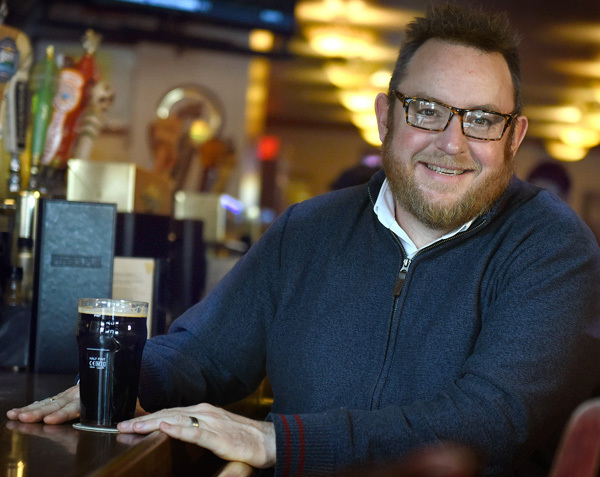 Jeff Guidos, owner of All Saints Brewing, discusses the collaboration beers he’s readying for Greensburg Craft Beer Week. Don’t think Greensburg has enough going on to sustain its own version of a beer week? GBG and the surrounding area is home to some of the best breweries in the region, from long-timers like All Saints to brand-new places like Yellow Bridge. There’s an established group of taverns and restaurants that put craft beer front and center. 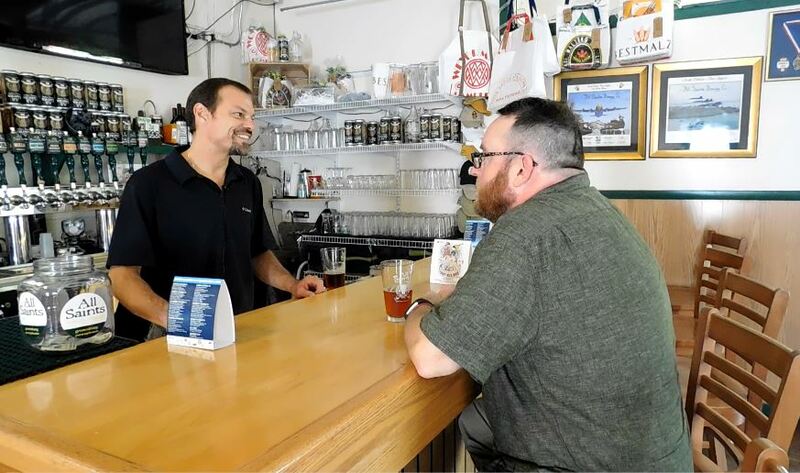 And there’s a growing enthusiasm for better beer, in Greensburg and throughout Westmoreland County. Still not buying it? Consider this: organizers of the first Greensburg Craft Beer Week, scheduled for Oct. 9-15, was originally going to be held over a long weekend; since the event was announced, though, the list of stuff to do has ballooned to close to 40 events — as of press time, that is — spread out over a full week. The week had been a longtime daydream of Jenn Weir who, as a brewery rep, had firsthand experience with successful craft beer weeks in Pittsburgh and Cleveland. The daydream was set in motion more than a year ago when Weir, now with Greensburg Beverage, discussed her vision with Jess Hickey of the Downtown Greensburg Project; Hickey has been organizing the event since. What’s to come once the week begins? The full events listing is here, but the highlights include several beer dinners and events that pair beers with desserts, doughnuts and even cigars. If you’re feeling active, there are brewery-hosted yoga classes and a bike tour. And there are some definite headliners: Art on Tap at the gorgeous Westmoreland Museum of American Art, a Friday the Firkenteenth party at Tapped and a tasting tent at Seton Hill University’s homecoming tailgate party. And yes, there is beer — local breweries have teamed to make four collaboration beers for the week. All Saints owner Jeff Guidos said he’s worked with Noble Stein to brew a red IPA and with Rivertowne to brew a double IPA, the first time he’s made a high-gravity IPA. Fury and Levity will release a Baltic porter brewed with rich plums and on the week’s opening night, Yellow Bridge and the folks at Tapped will release a pumpkin pie beer — based on the restaurant’s pumpkin pie recipe — to benefit the Foster Love Project. Let’s see: A great local craft beer scene? Check. More events than one person could attend? Check. Collabs? Check. Greensburg Craft Beer Week? Check … as in, make sure you to Greensburg and check it out.